With winter arriving this week, it&apos;s time to embrace the cold and celebrate snow. Each year, I partner with a new brand to find a piece of clothing that matches my love of winter. 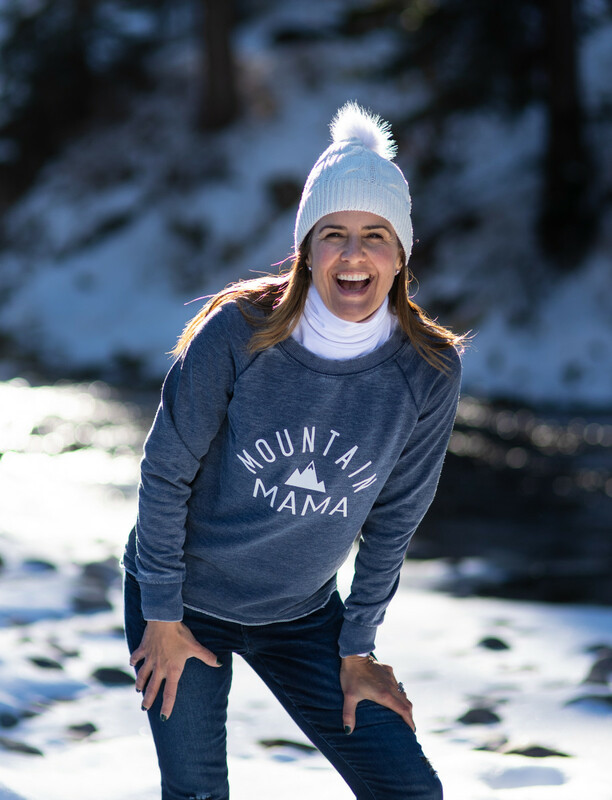 How better to style a mountain mama than this top from Made of Mountains! For the perfect top, this year I went to Montana. 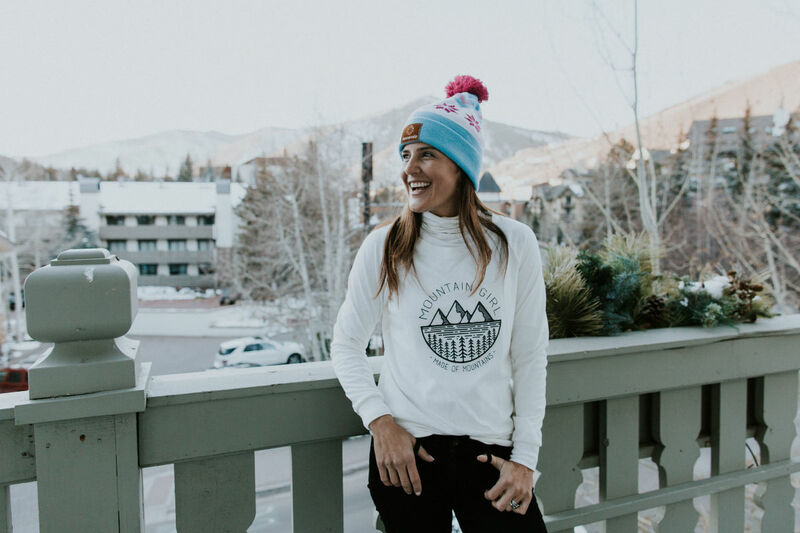 Britt, a mountain mama herself, is the Founder of Made of Mountains. She knows a thing or two about outdoor life, Glacier National Park, the Bob Marshall Wilderness and Flathead Lake are all a part of her backyard. She designs outdoor-inspired goods for mountain lovers and adventure-seeking families. You can feel good shopping this small brand. All the apparel is made in Bigfork, Montana, and 5% of sales are donated to Glacier National Park. Oh, and that&apos;s not all to feel good about. You can also save with our special code. 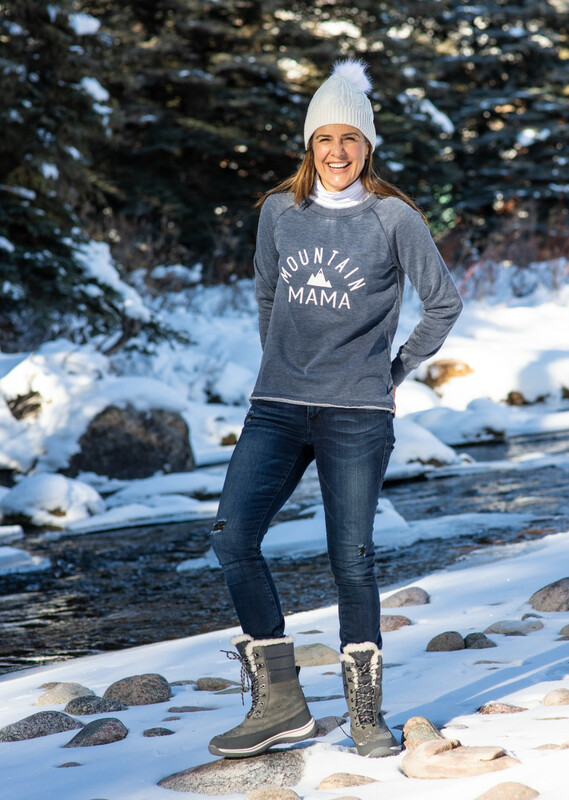 I&apos;m wearing the Mountain Mama Pullover ($46). This slouchy top is perfect for a movie night in. Let the slow cooker do the work, slip on this top and grab a hot cider -- it really is the best of winter! This comfy top has a raw-edge hem that won’t unravel. For a lighter look, the cream Mountain Girl Pullover ($36) is perfect. It&apos;s a slouchy tee with room to breathe. 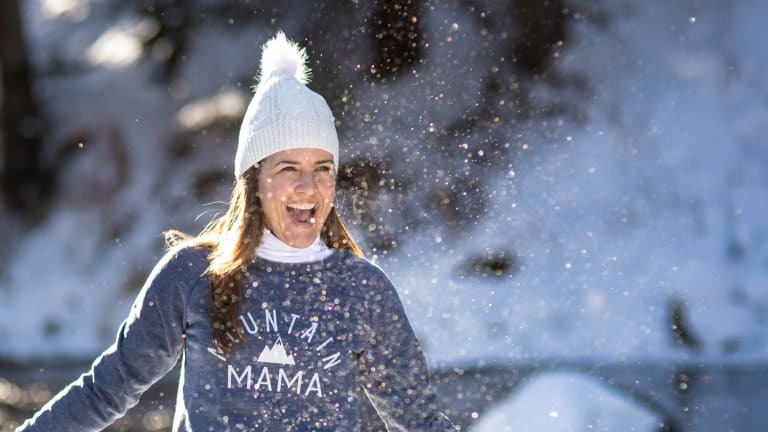 Each year we share our favorite tips for celebrating time outdoors in the snow. This year, it&apos;s a mix of travel, fashion and lots of fun. Be sure to click and flip through this year&apos;s guide. And make a snowy play date with your family. It&apos;s full of reviews and recommendations. Like this recent post about Beaver Creek. I&apos;m wearing this top with some great cabi jeans and my favorite Lands&apos; End snow boots. Shop the boots on Lands&apos; End here. Use pinterest to save your favorite fashion finds.